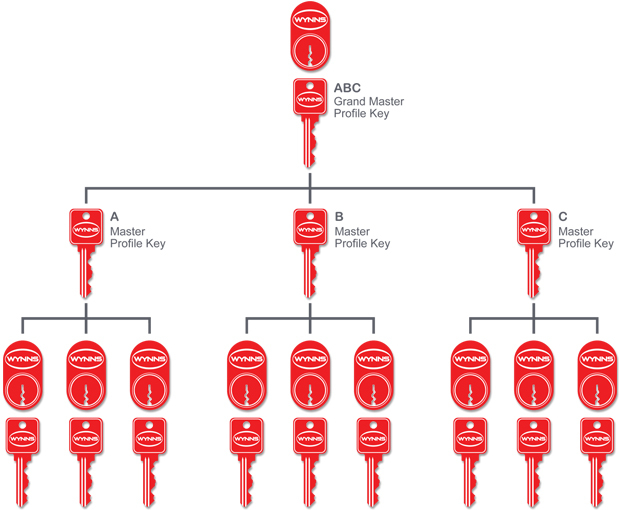 As specialists in master key systems we have developed and manufactured a suite of Wynns Locksmiths registered design multi-profile MSA key systems. MSM and MS4 form the foundation for a secure premise. Wynns Locksmiths offer two restricted systems. Our MSM profile has been developed to suit high security commercial applications. It’s multi-broach system is capable of securing facilities with multiple buildings. The MSM features additional options which include a no bump, no pick, and no drill design. The MS4 profile was developed as a cost effective system for residential and low risk commercial applications. If you would like to find out more about MSA key systems please contact the team at Wynns Locksmiths.